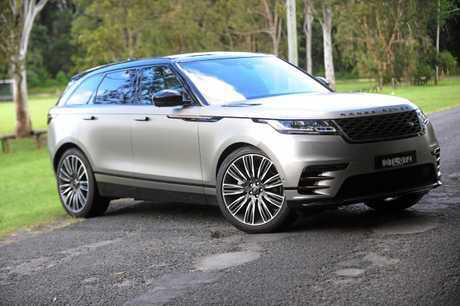 The captivating Range Rover Velar First Edition D300. COUNTLESS SUVs have been driven, but none in recent memory have generated more attention than the Range Rover Velar. Would you expect anything else from the car just named the most beautiful in the world? Borrowing the sleek and shapely lines of Range Rover's Posh Spice-inspired compact Evoque SUV, the Velar is equally stunning despite its longer proportions. Bigger may even prove more beautiful ... and it's hard not to be romanced by the Velar. To be fair, our experience was extravagant. While you can get into a Velar from about $77,500 drive-away, our range-topping First Edition D300 version cost $181,370. Plus on-roads. The spectacular matt premium metallic silver paint played its part there, costing an extra $13,120. Unlocking via the key fob and handles hidden flush with the doors emerge from their nooks. Puddle lights from beneath the side mirrors enlighten the path complete with Velar silhouette (it's on other Rangie models too, but it's still oozes cool). Oh, the theatre. Step inside and it feels like you're in one... the Meridian sound system with 23 speakers sprinkled liberally throughout a leather-clad cabin delivers outstanding acoustics. 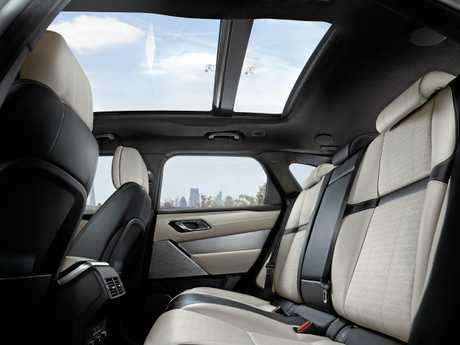 Take in the view from either row and the scenery is brilliant opulence. Two central digital touch screens offer one of the best designs on the market. 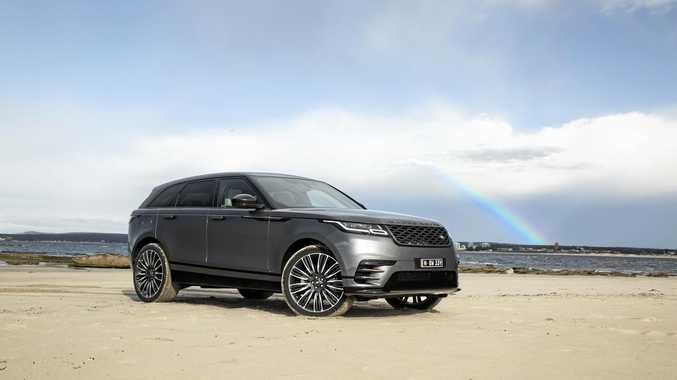 Range Rover offers an options list rivalling War and Peace in a massive Velar range enveloping more than 50 models ... but no need in this First Edition. It gets everything. 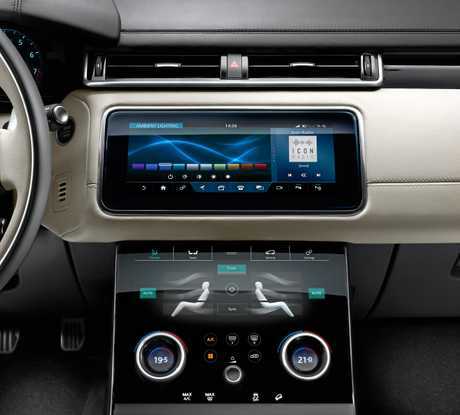 Stuff you expect, including satnav, gigantic 22-inch alloys, digital driver display to match the central screen pairing, panoramic sunroof along with electronic adjustment of the front seats with massage function which also offer heating and cooling to your rear end. Then there's the stuff you don't expect, like super fancy Matrix headlights which dim themselves and light up the road for half a kilometre, as well as an advanced off-road system with an ability to wade through water up to 650mm high. But there's a glaring omission - no smartphone mirroring apps Apple CarPlay or Android Auto. Cars worth one-tenth of this model have the functionality as standard, and frustratingly the voice activation controls couldn't understand my vulgar Aussie accent. Pushing two tonnes and being powered by a big diesel you'd think getting around would rival a barge. Nope. It can haul quicker than many sports cars - standstill to 100km/h in 6.5 seconds. Select dynamic mode from the range of personalities, and the D300 Velar hunkers down courtesy of air suspension that offers disdain for challenging, twisty terrain. Sharing underpinnings with the Jagaur F-Pace, its architecture is primarily aluminium to help minimise weight. 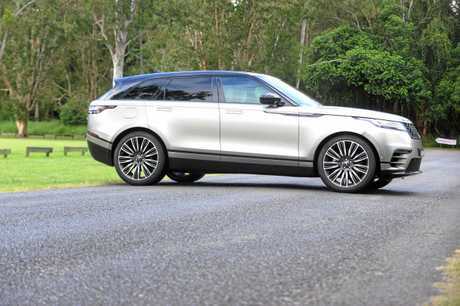 Despite a turning circle to rival many dual cab utes, 11.6m, the Velar manages to defy its proportions and is simple to park with easy, fast steering. For those who struggle with parking there is an automatic function, along with the radar cruise control and a lane-keeping assistant. Boot space is a handy 558 litres, and while there is reasonable space in the rear seat, it's not cavernous. Some nice kit here which gains a five-star crash rating, including adaptive cruise control that maintains a safe distance to the car ahead on the highway, automatic braking if a collision is detected (it also works in reverse), head-up display that projects speed and satnav info onto the windscreen, drowsy driver detection as well as a surround view camera. Really, I never want to get it dirty but the technology's there if I want to step off the bitumen. But I never will... this thing is too beautiful to sully. It's super expensive, and I could have a range-topping Jaguar E-Pace for far less coin. You're loveable from every angle, inside and out. You had me at hello, you minx. At this price there aren't too many rivals in the medium-size luxury segment. The range-topping Jaguar F-Pace S is $101,795, Audi's SQ5 is $99,611, the BMW M40i has a price-tag of $99,900, while the V8-powered Mercedes-AMG GLC 63S is closer at $164,900. In terms of luxury, it's more on par with some of the large SUVs. 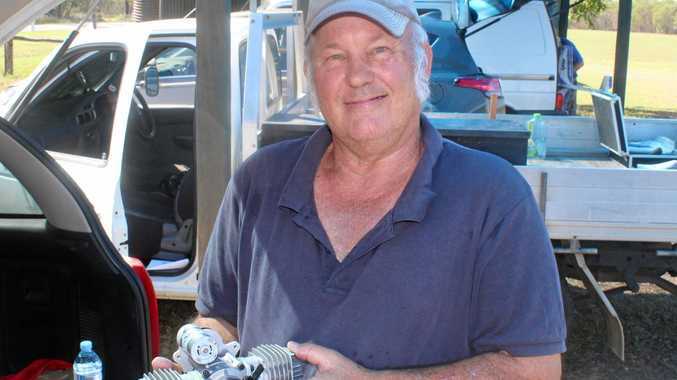 Stonkingly good with a V8 turbo diesel. Amazing how this thing deals with mass and momentum in the seven-seat shell. Super fast and and good-looking unit with a brilliant turn of speed, but doesn't match the Velar inside or out. Despite a spectacular history of building hardened off-roaders, Range Rover has mastered the art of faux four-wheel drives. 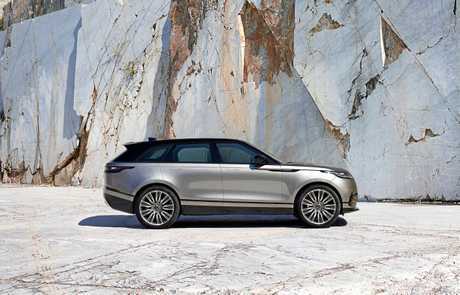 The Velar is the best yet. This First Edition is spectacularly over the top, not to mention super expensive, but it's brilliant. 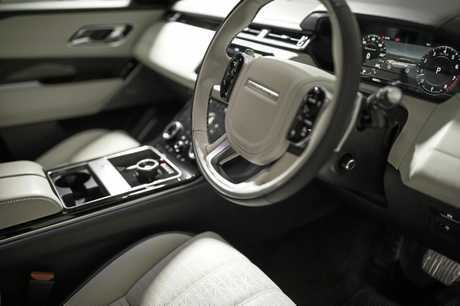 Its silhouette, interior design and overall package is sensual intoxication on wheels. ENGINE 3.0-litre V6 turbo diesel 221kW/700Nm, eight-speed auto (fast).